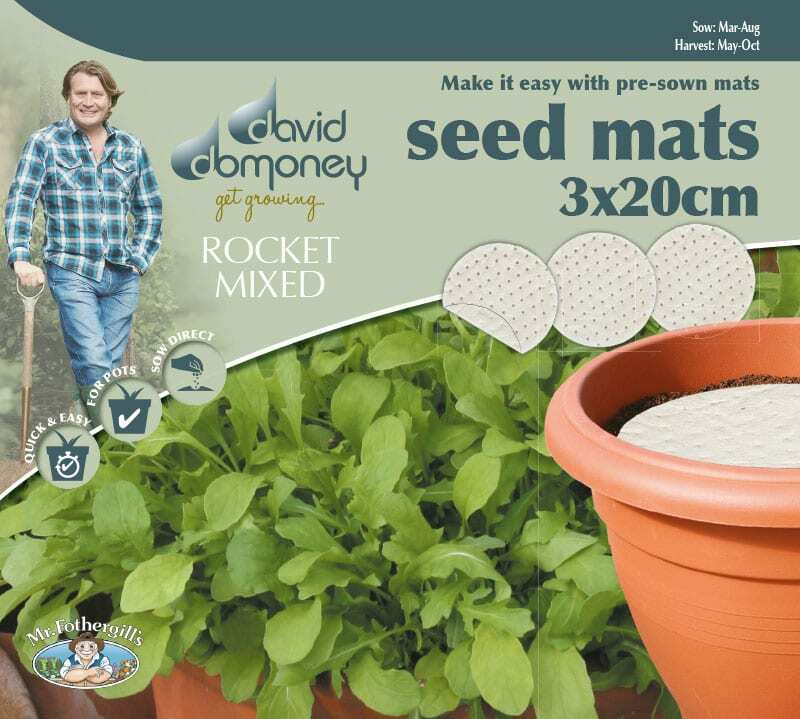 Rocket is a fast, easy-to-grow crop which thrives in the ground or in containers. 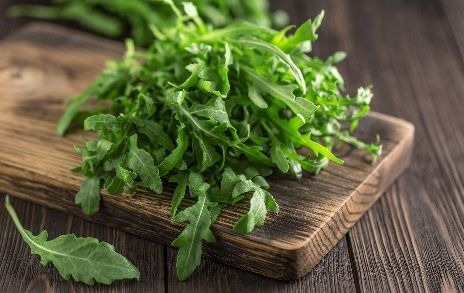 Its leaves have a spicy, peppery flavour that makes a great addition to summer salads. It does tend to bolt (flower and run to seed) in hot weather, but the good news is that the flowers are edible. 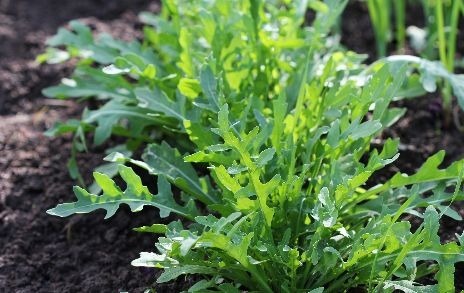 Reduce the risk by growing rocket in partial shade. 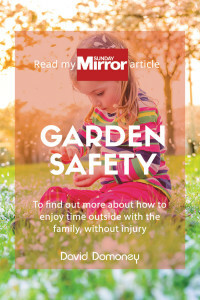 Prepare the soil, remove weeds and rake the surface. 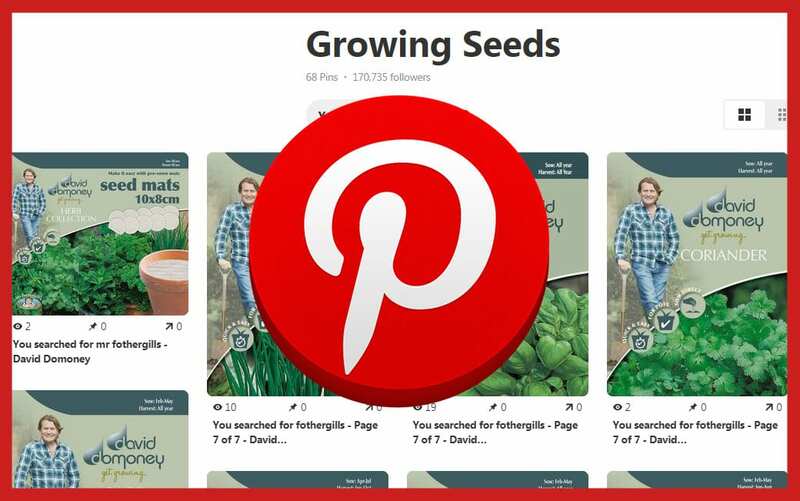 Sow the seeds thinly in wide rows roughly 15cm apart. Cover the seeds with a thin layer of soil. Sow in blocks if you want to cut smaller leaves. For a more constant and continuous supply, sow a short row every 2-3 weeks. For summer sowings, choose a spot in light shade or sow between rows of other plants. Water the plants well in dry weather. Thin the plants out if they become too congested. 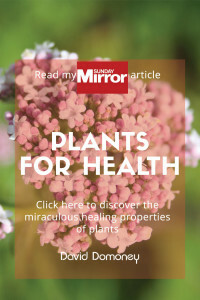 To ensure you get larger leaves, thin to 20cm or more between each plant. Snip off any flower stems that develop before they can set seed. 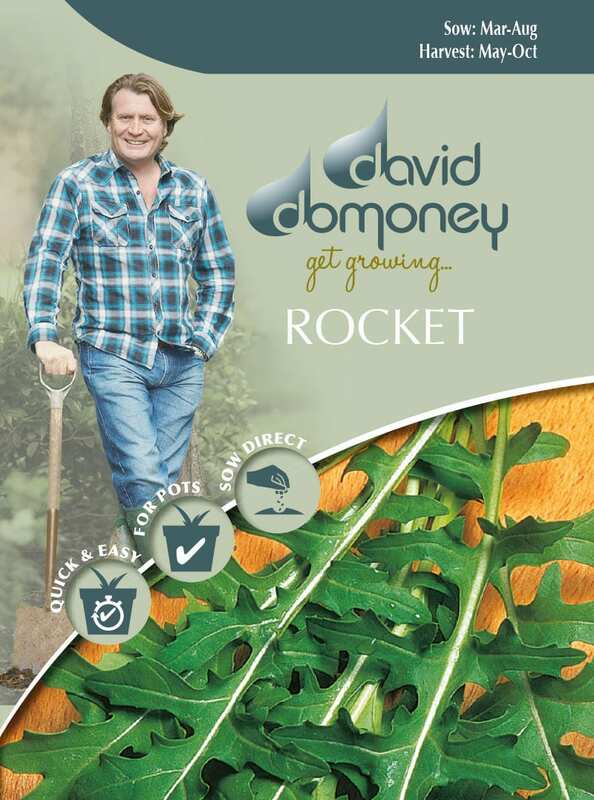 Lightly cooked rocket leaves can be used as an alternative to spinach – ideal if you get a glut. The leaves are usually ready to harvest four to six weeks after sowing. 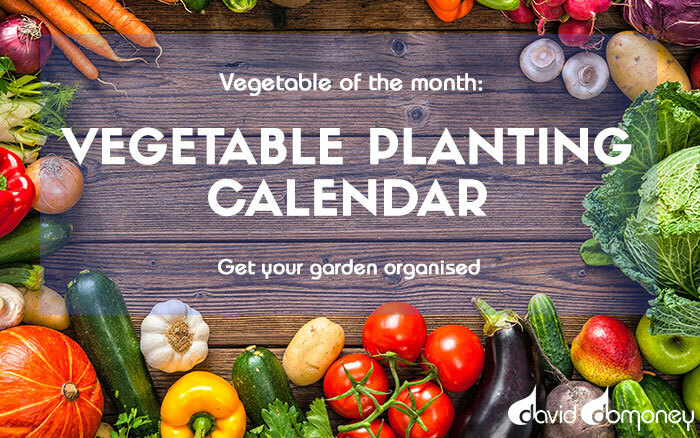 Start harvesting when the leaves are 8 – 10cm long. 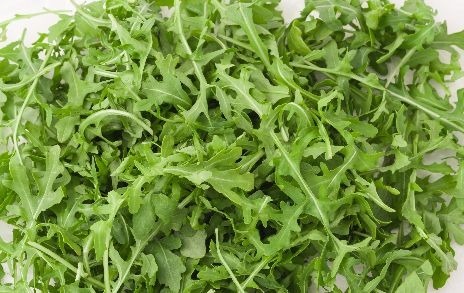 Cut or pick the salad leaves from the plant as and when they are needed. 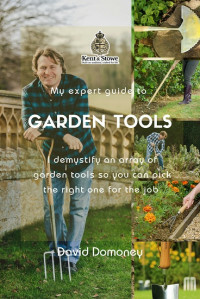 Picking leaves regularly will ensure that plenty of tasty new leaves keep growing. 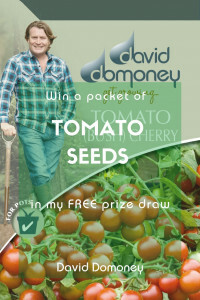 At the end of the season, leave a few plants to flower and harvest the seeds for next year. Little holes in rocket leaves are caused by a pest called Flea Beetle. The damage is aesthetic but you can cover crops with horticultural fleece to stop the attacks.